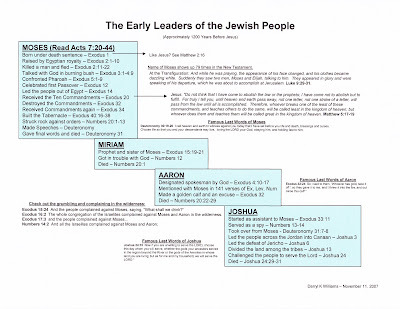 Moses, his prophetess sister Miriam, his spokesman Aaron, and his successor Joshua are the dominant characters of the Old Testament books of Exodus through Joshua. 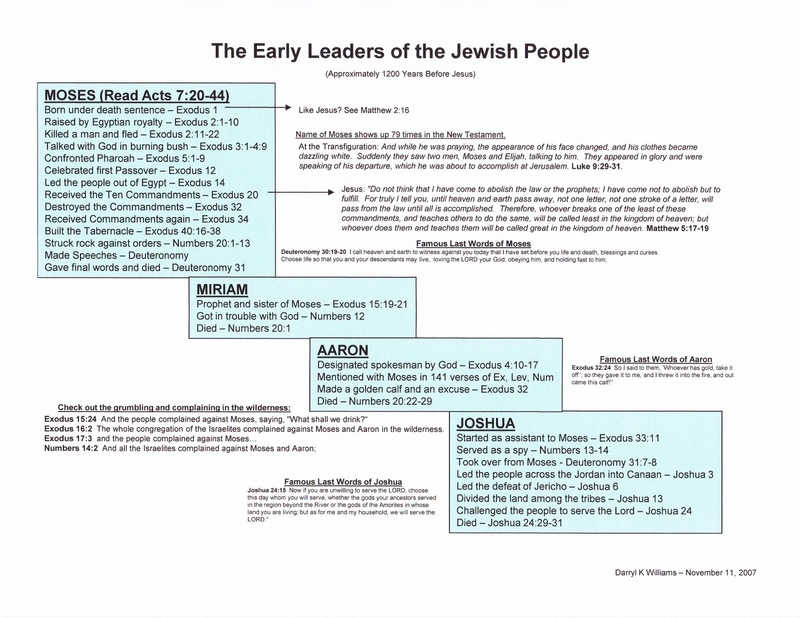 Abraham had just gotten up and gone when God told him to do so, but Moses started a new tradition by explaining why God had made a bad choice and why His plan might not work. Finally he was persuaded and rose to the occasion by leading the people out of Egyptian slavery and dealing with their complaints in the wilderness for forty years. The name of Moses, an important character in Christian tradition, shows up 79 times in the New Testament, and he appears with Jesus and Elijah on the Mount of Transfiguration. He did a lot of preaching near the end, advising the people to “choose life,” and died at age 120, “his eye undimmed, his vigour unimpaired.” Not a bad way to go.